My family does a lot of recycling and is always looking for a way to help reduce our prints on the earth. We love growing a garden every summer and I am always keeping up with the flowerbeds. I have been interested in the perks of composting for awhile and was very excited when EarthEasy agreed to team up with me on the Springing Ahead Event. I received the Worm Factory 360 Composter which seemed like it would be the easiest for my family who is just starting off with composting. 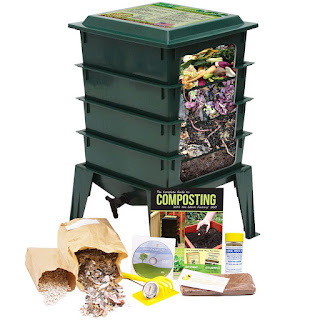 I was right this composting kit has helped my family get into composting fairly easy. I love that it came with everything you needed to get started as well as guide that walks you through everything. 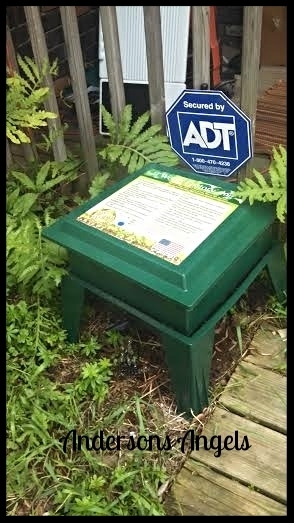 We have our worm factory sitting by the front porch which seems to be the ideal place for it at our home. Being by the front porch keeps our worm factory out of direct sunlight and the elements. The worms like their temperature to stay between 40 - 80*F. Since the worm factory is a odorless operation we can easily keep composting during the winter as well by simply moving the worm factory indoors. 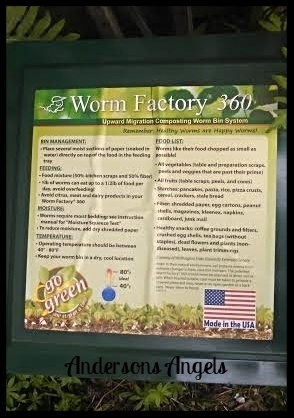 I love that the worm factory is made in the USA. 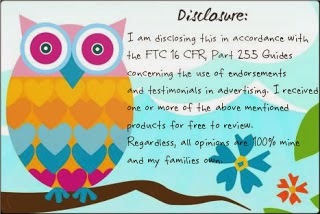 I love supporting local made products and companies that don't outsource. The worm factory also has this handy guide on the top of the lid which has some of the basic needed information so you don't always have to break out your guide to check things. We are having a blast with our start of composting and can not wait to get our first batch of compost to add to our garden. If you have thought about wanting to start composting and lack a lot of room then I would highly recommended checking out the worm factory 360. I love this composter! It's the perfect starter composter. I'd love to have one like this, since we don't have one yet here on the farm!